SwissMiniGun: the smallest revolver and ammunition in the world. 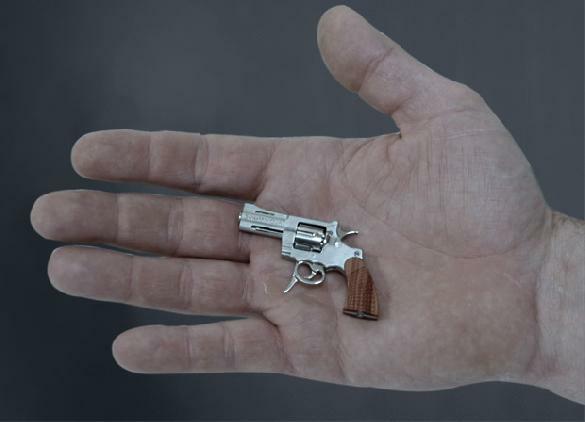 SwissMiniGun is proud to present the smallest revolver and ammunition in the world. It's total length does not exceed 5.5 cm. and It shoots 2.34 m/m rim-fire ammunition. This firearm is a scaled-down model of the much acclaimed and mystical Colt Python with all the same features as are found on the real size gun. 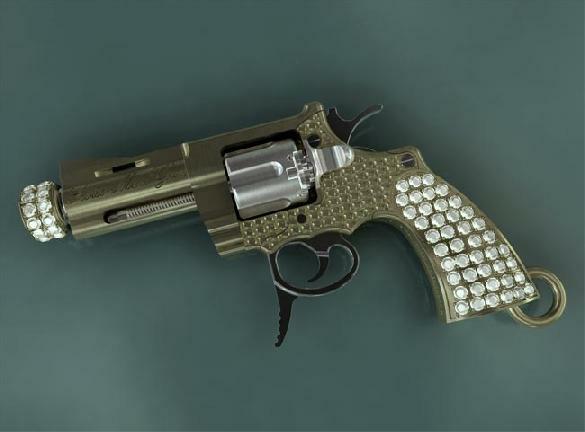 The manufacture of this exceptional miniature revolver has only been possible by exploiting the incomparable expertise and latest technologies of the Swiss Watch and Jewellery Industry, upon which its Worldwide reputation is built. 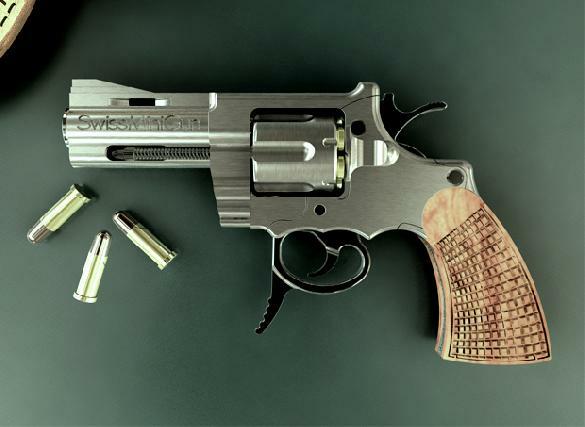 Our revolver and it's ammunition are 100% Swiss Made. SwissMiniGun is a fully authorized and licenced gunsmith company in Switzerland.